The first line-up for the new series of The Graham Norton Show has been announced. Harrison Ford, Ryan Gosling, Margot Robbie and Reese Witherspoon will all take part in the first episode of the series, which airs Friday, September 29 at 10.35pm. Ford and Gosling will be promoting their new film Blade Runner 2049, the long-awaited Blade Runner sequel. In the film, Ford reprises his role as Rick Deckard, while Gosling portrays a new Blade Runner – the mysterious LAPD Officer K. The film is set thirty years after the original and follows LAPD Officer K as he makes a discovery that will change everything. The film will be released in cinemas on October 6. Meanwhile, Robbie will join the sofa to discuss new British biopic Goodbye Christopher Robin. The film, in which she portrays Daphne de Sélincourt, tells the story of Winnie the Pooh creator A. A. Milne (played by Domhnall Gleeson) and examines how his works were inspired by his relationship with his young son. It’ll be out on October 13. Finally, Witherspoon will chat to Norton about her new film Home Again, in which she plays the leading role. Home Again revolves a recently separated woman who invites mayhem into her home when she allows three young men to live in her guest house. The film will premiere in the UK on the same day as the episode, September 29. The Graham Norton Show returns to BBC One at 10.35pm on Friday, September 29.
Who will appear on Graham Norton’s Christmas special? 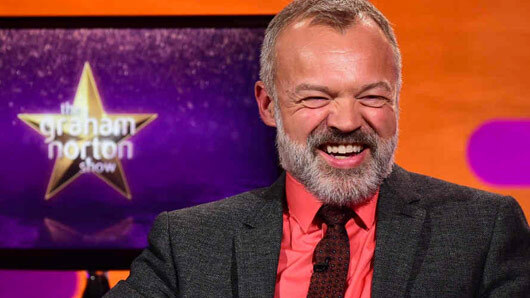 The star-studded lineup for Graham Norton’s Christmas special has been announced, and it’s a doozy. This year’s special will air on Friday, December 23, and feature Will Smith, Dame Helen Mirren, Naomie Harris and Martin Freeman on the famous sofa. What’s more, songstress Katie Melua will liven up the evening with a musical performance. We told you it was star-studded! Norton will chat to Smith, Mirren and Harris about their new film Collateral Beauty, the touching story of a New York advertising executive’s unique journey coming to terms with the death of his son. The film also stars Kate Winslet, Keira Knightley, Helen Mirren, Edward Norton, Michael Peña, so it’s likely to be a hot topic of conversation before its UK release on December 30. Meanwhile, Martin Freeman will be on the show to add a bit of telly talent and tease us all about that new season of Sherlock we’ve been waiting two years for. We’ve had an agonising number of teasers for the series so far, including three clues on the subjects of the three episodes, numerous promises that Toby Jones’ villain Culverton Smith is pretty damn evil, and the first promo pictures of Sherlock looking baffled by Baby Watson. After you’ve enjoyed an hour of festive Hollywood chatter, Melua will perform her new song ‘The Little Swallow’ on the show. The new song is Melua’s take on a popular Ukrainian Carol, and will feature on her new winter-themed album, ‘In Winter’. The Christmas Edition of The Graham Norton Show will air Friday, December 23. The Graham Norton Show will kick off later this month with appearances from Daniel Radcliffe, Justin Timberlake, Anna Kendrick and Robbie Williams. 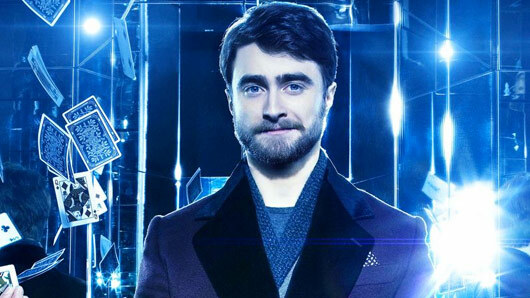 The former Harry Potter star will be promoting his new film Now You See Me 2 on the programme, but it seems unlikely that the subject of the film franchise that made him famous won’t come up in conversation on Graham’s sofa. Radcliffe recently told reporters he would “never close the door” on Harry Potter, but he did feel secure enough to let another actor portray him if Warner Bros did want to make more Potter films. While there have been rumours of Radcliffe reprising his famous role in a film adaptation of the hit West End play Harry Potter and the Cursed Child, Radcliffe has pointed out he is currently ten years too young to play the older Harry. Radcliffe has appeared on Graham Norton’s famous chat show six times already, most recently in 2015 to promote Victor Frankenstein alongside co-star James McAvoy. Meanwhile, Timberlake and Kendrick will be on the sofa to talk about their new animated feature Trolls. Robbie Williams will be the episode’s musical guest. 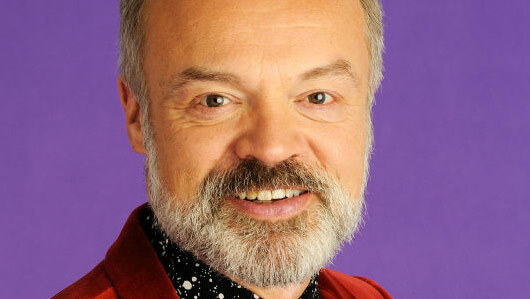 The Graham Norton Show returns to BBC One on Friday, September 30 at 10.35pm.